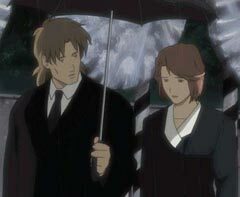 An observation of the song 'Living Inside the Shell' of Ghost in the Shell: Stand Alone Complex on a subtextual level. There is a song associated with Ghost in the Shell: Stand Alone Complex that, when sung, is capable of compressing the entire universe of Ghost in the Shell into a little ball. Melting what metaphysical wonderings and mental anxieties that arise from the notion of individuality into one or two spheres of curiosity, the song "Living Inside the Shell" is an epiphany slow to unfold. The song is the tale of an individual's gentle awakening into the immense reality of his own mind. 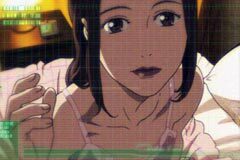 The story of a covert data research unit, known as Section Nine, and their lead female operative, Major Motoko Kusanagi, are the genesis for this wonderful journey through science fiction. 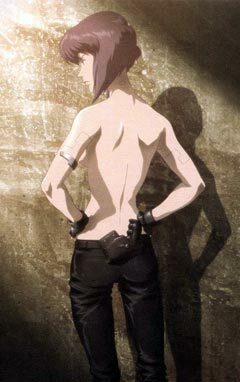 Ghost in the Shell: Stand Alone Complex is an animated television series capable of utilizing the utmost simple and meager aspects of humanity, and aligning those aspects with the more, macrocosmic workings of society and culture at large for the sake of comparison. 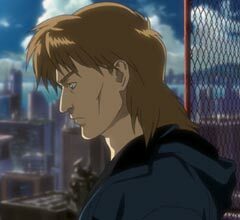 As Major Kusanagi and her intelligence unit coerce dependant criminals through webs of information, so must they convince themselves that it is with the hope of balancing the surrealistic of dreams and reality that they tip the scales and tempt fate. Neither a group nor a true police unit, Section Nine hangs somewhere in between as enforcers of the law. Just as Motoko's job obliges her to mediate between the government and the people, her work forces her to weight the significance of self-discovery against the needs of the contemporary socio-political undercurrents. The song "Living Inside the Shell" explores such sentiments. A narration whose speaker, for the first time, seriously contemplates his mind as the birthplace of something new and real, "Living Inside the Shell" is the detailed observation of an individual's introspection. In the first segment of the song, we find that the speaker is a person whose mind lacks direction and certainty. Aware that the two realms of sleep and wakefulness will never satisfy him, he finds that in letting his mind journey through the depths of this in-between place, he may perchance experience something new. If you are unsure of what this feels like, then consider a time when you knew the objectives that you needed to achieve, or the risks that you needed to take, but you were unsure as to how you might set about accomplishing your goals. Here, we find one in the complex of the mind, journeying to new, unknown places, but who is anxious enough to remain unafraid of what lies ahead. Being able to remain calm during times of pervasive stress or danger involves allowing oneself to contrive fresh, intrinsic principles, which beget new and sometimes confusing emotions. It is to invite oneself to the notion that your "imaginations" are no mere dreams, and that your existence is defined by a trace of your emotions. The refrain of "Living Inside the Shell" is a wonder. Here at its first mention, we find the speaker echoing a singular "voice" that beckons him to discover himself. The echo is a device that forces one to re-associate his self with a particular form of noise that he had once thought unnecessary. The speaker is instructed to "look inside" and sense the comfort of his own consciousness. His mind holds memories, experiences and understandings, all of which have accumulated to form a portrait of reality. Whether or not this reality truly exists is dependent upon what other visions that the speaker finds upon closer observation. 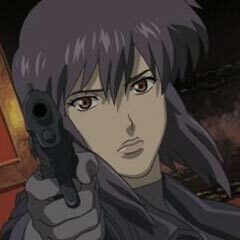 Those familiar with the Ghost in the Shell franchise are aware that Motoko often claims that she hears the "whisper" of her ghost. Whether sardonic or serious, she often tempts others to peer with her at circumstances, so that society is perhaps one reality of many. 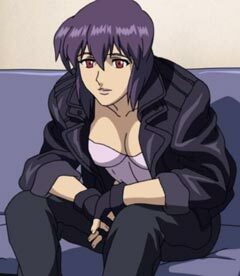 Like a postmodernist, anime fans witness the ghost of Motoko whispering lost wonders of a forgotten life, providing her with an alternative. The song "Living Inside the Shell" speaks of the warmth and comfort that emanates from truth. Implying that every principle, axiom and truth that one lives by resides deep in the shell of the individual, this is an echo hoping that its listener will recognize that it is often enough by itself to define the reality of the mind. This is an understanding that upon introspection a being may discover the truth within, which, when unassisted, will beget a unique individualism. After searching inside of his self, the speaker describes his discovery of the universe within. The queer silence of the immensity of outer space is perhaps the only "melody" able to parallel the deafening point of apprehension within the mind. In recognizing the "beauty in possibility," the speaker also realizes the boundless nature of one's consciousness. Because "Living Inside the Shell" is a journey to understand how the mind works, it is only fitting that the speaker --after being instructed to-- discovers that the depths of his own mind are far-reaching. On the heels of this realization, we return to the refrain. However, what was once the wondrous echo of some obscure and determinate being is now the voice, observation and belief of the speaker himself. The hesitation and echo of "you" at the end of the third line of the first refrain has now become "me," and the expectant "you" in the fourth line of the first refrain now becomes the ever so humble "I." It is here that I find the speaker further establishing his acknowledgement and understanding of his mental self as an identity set and held beyond social commentary. 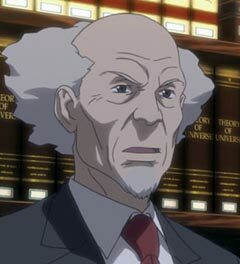 Consider that in Ghost in the Shell: Stand Alone Complex one may recall that a great deal of the criminal issues dealt with by Section Nine concern personal endeavors. The working conscience knows only the limits of which it sets for itself. While it may be understandable to find political devils laughing at the demise of the common man (as is their function), why then are there times when the common man finds himself unbound and limitless? I find that this is because that an epiphany comes with not just understanding, but self-assurance. To know that everything that one may ever need may simply lie inside is to put to action one's comprehension of the real nature of things. 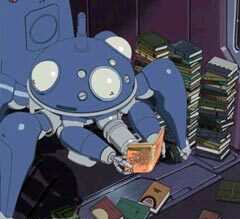 Whether it is an estranged comrade, a malfunctioning Tachikoma, or an anonymous, dying old man, the working conscience validates the truth of things in thought by calling into action said faculties. Of course, not all of those with such free consciences are of poor judgment. I only utilized this perspective for the sake of an example. These excerpts have much to do with time and the reality to which the song directs its listeners. If you cannot be drawn into, or are unable to understand the ambition that this song echoes, then you should by now. The first section establishes the significance of knowing, if not yet finding, an emotional starting point, so that one can continue to journey to new realms of the mind with a purpose. Terms such as: "sandglass," "start[s]," "time['s]," "beginning," and "unfolding me into the new" all denote the speaker's definitive awareness of time. In recognizing this, the speaker of the song will no longer "roam" as he had initially confessed to, earlier in the lyrics. The reading as a whole serves to verify the truths of which the entire song chooses to deliver. Perhaps offered in the same vein as the first refrain -- not as an echo, but rather as the instructional confession of a ghost-like being -- it is comfort that guides the initial speaker. With the anxiety of experiencing something new and meaningful, the anticipation of the unity of the search for knowledge, and knowledge itself, the reading carries these sentiments and recognizes them as points of difference. The reading makes use of the terms: "balance," "harmony," "undivided," "[true] strength" and "beauty" as evidence of the merger and equilibrium of the mind and of an emotional stasis. This language verifies "Living Inside the Shell," and subsequently Ghost in the Shell: Stand Alone Complex as presentations of characters and events seeking the calmness, warmth and intricate infiniteness of the mind. Whether or not any one or more character can achieve such a "balance" or "harmony" of "strength" and "beauty," thus finding "love," is entirely dependant on the individual's willingness to confront his internal conflict. The final portion of "Living Inside the Shell" sets in stone the speaker's acknowledgement and his commitment to seeking out the detailed nature of the mind. Considering that it is the combination of the "truth" of experience and inner "beauty" that finally begets "this reality...within the shell," it is now clear that the mind is the only necessary realm of discovery. We return once again to the "beauty in possibility," spoken of earlier within the song. As the speaker concludes, we find that knowledge is infinite, solely for the fact that an earthly existence is finite. 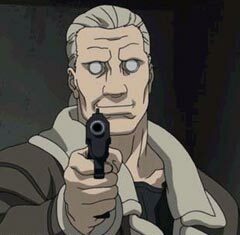 I believe that it is impossible to watch Ghost in the Shell: Stand Alone Complex, much less any other franchise-related anime or manga, without giving consideration to the necessity of its characters to surrender himself or herself to self-realization. Ghost in the Shell: Stand Alone Complex is a collage and healthy configuration of internal conflicts, defiant intellects and more cosmic imaginations. This series is precise in its quest to guide the audience towards some fantastic intrigue. Understanding the infinite nature of the mind allows one to "wander" into a self-sufficient reality, where the aesthetic beauty of truth is the only source of light. "Living Inside the Shell" speaks of consciousness and the general circumspection within the mind, and it confronts the present boundaries of the universe. Title: "Living Inside the Shell"